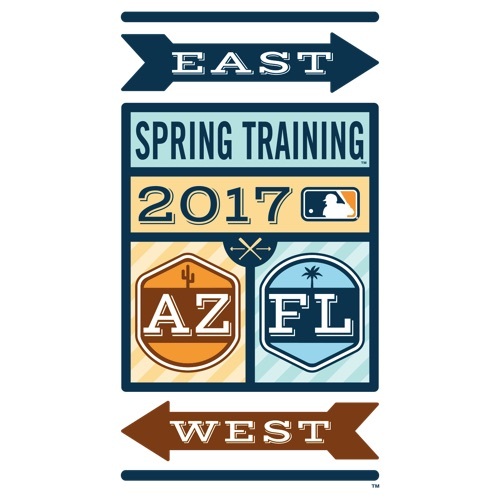 This year the scheduling gods have smiled on us, as March 17 is a Friday, providing the perfect gateway to the weekend spring-training experience. Here are our choices for the best St. Patrick’s Day matchups. Yankees at Tigers. This game would probably sell out no matter what, but the bonus of being scheduled for St. Patrick’s Day makes it a primo Grapefruit League event. Tigers regulars work hard to create a festive environment before and during the game. Show up early and leave late. You can buy tickets to the game at Joker Marchant Stadium here. Orioles at Pirates. A St. Patrick’s Day game is a grand tradition for Bucs fans, as the team has held plenty of good giveaways on March 17. (Indeed, a cap with a green “P” logo is one of our most cherished ballpark offerings, a souvenir from a St. Pat’s Day game in Bradenton over a decade ago.) You can buy tickets to the game at McKechnie Field here. Astros at Red Sox. Boston. Irish. St. Patrick’s Day. Need we say more? The Red Sox usually throw some sort of green twist during the proceedings on March 17, and we’d expect no less in 2017. This game is long sold out, but you can buy tickets to the game at JetBlue Park here. Rockies at Giants. This is a night game, and we’re guessing this will be a complete sellout, as many fans will use the occasion to create their own Phoenix day-night doubleheader. Nothing like an early or late dinner in downtown Scottsdale punctuated by a great baseball game. You can buy tickets to the game at Scottsdale Stadium here. Cubs at White Sox and Mariners at Dodgers. Camelback Ranch – Glendale is hosting a day-night doubleheader on St. Patrick’s Day, and it’s a doozy. Begin the day with a noon Cubs/White Sox matchup (a highlight of the Cactus League schedule), and end it with a nighttime Dodgers game. In between, run over to one of the great Glendale restaurants or do some shopping. You can buy tickets to the Cubs/White Sox game at Camelback Ranch – Glendale here; you can buy tickets to the Mariners/Dodger game at Camelback Ranch – Glendale here. Reds at Indians. Yes, these teams square off several times during spring training, but the all-Ohio matchup at Goodyear Ballpark, featuring a World Series team, is worth a visit. Expect some sort of green uniform or cap on the field. You can buy tickets to the game at Goodyear Ballpark here.